Amicus Attorney offers secure case management solutions that are accessible via desktop and in the cloud. Its features include matter management, legal calendaring, document management, time tracking, client portal, billing, and more. In this article, we cover Amicus Attorney reviews. Ready to get started? Get a free trial. Users who gave Amicus Attorney a positive review said that it is easy to use. Some shared that it provides them with complete tools, from case management to billing, needed to organize their daily legal practice. Others like that it seamlessly integrates with other popular software, such as Microsoft Outlook and Google Apps. One user who gave Amicus Attorney a positive review on Capterra said that it provides him with everything he needs for his law practice. He particularly commended its ability to sync with Outlook so that all his legal appointments are updated in both his phone and computer. Users who gave Amicus Attorney a negative review reported that they have experienced occasional shutdowns and glitches after the software’s latest update. Others complained that the customer support team has a slow response time. One user who gave Amicus Attorney a negative review on G2 Crowd said that there are glitches in the system, preventing him from scrolling all the way to the bottom of his calendar. He also suggested that they enlarge the calendar so the days don’t look overly compressed. Amicus Attorney pricing is not readily available on its website. Third-party websites report that it costs $47 per user per month. Interested users may contact the customer support team to request a pricing quotation. 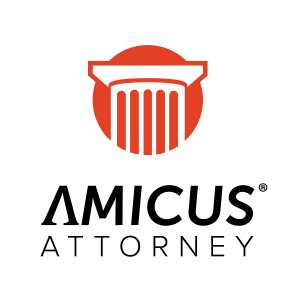 Ready to get started with Amicus Attorney? Get a free trial. How can Amicus Attorney help lawyers track billable time in real-time? Amicus Attorney has a special Amicus app that runs on users’ smartphones. It helps users track billable time and enables them to assign hourly rates for easier calculation of fees. Figures are automatically recorded in the Amicus Attorney platform, ready to be sent to clients for final billing. How can Amicus Attorney address the special requirements of a particular practice? Amicus Attorney offers customization features to adapt to the needs of a firm’s practice management. It enables users to create an unlimited number of custom fields to track specific files and contacts. It also allows them to create custom records and custom list views. What industries do Amicus Attorney’s services cover? Amicus Attorney covers the following industries: accounting, government, healthcare, legal, real estate, retail, marinas, and more. Have you read these Amicus Attorney reviews and are still not sure if it’s the right fit for you? Read our reviews of all top law practice software or check out one of these three Amicus Attorney competitors. How bad the customer service is. Look there is better stuff out there and the only reason I used the current product is because I already had it. Go somewhere else since there business model is just not working. Everything! It’s a great company to do business, very responsive, very patient and very helpful! I wasn’t a fan when I first heard about it — it sounded like a whole lot of work to keep up with all day, every day. But in reality, it just works so well it was worth my panic about how it works.